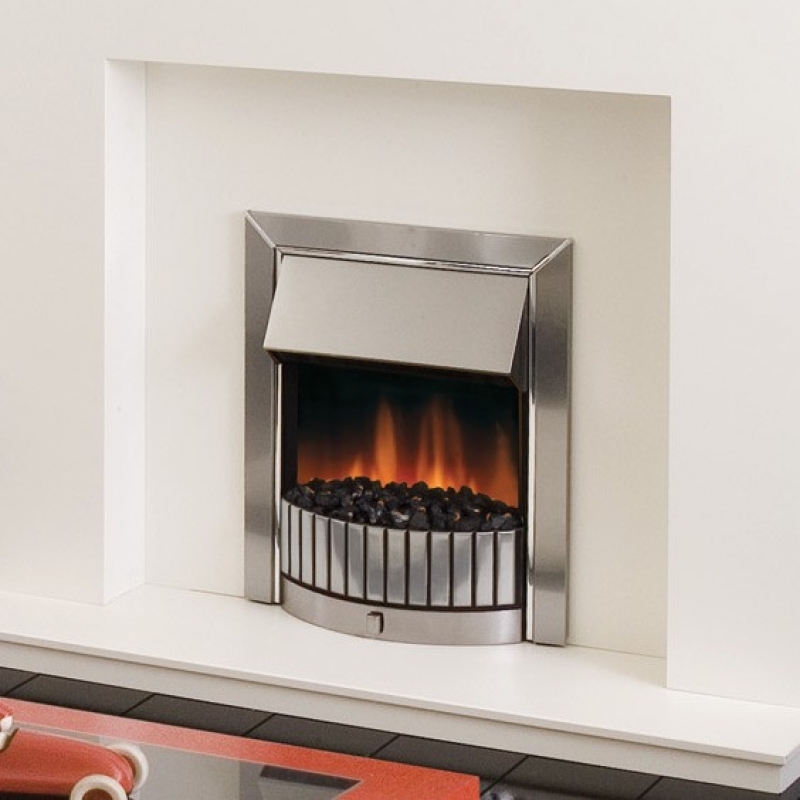 The Dimplex Delius electric fire is a decorative flame effect inset fire with solid cast-metal fret, supplied as standard with Optiflame effect. The Dimplex Delius also gives a choice of feature, either with real coals or white pebbles. The Dimplex Delius has a concealed 2kw fan heater with thermostat. Can be fitted as an inset fire or flat to wall with then spacer provided.